No amount of training has prepared Jaevid Broadfeather for the frontlines of battle. Now facing the true horrors of war, with Luntharda looming on the horizon, Jaevid has begun to question everything he thought about his heritage. The only thing keeping him going is his oath to protect his dragonrider brothers. But in an instant, even that slips through Jaevid's fingers as he steps from the safety of his dragon's saddle into the depths of his mother's wild homeland--the kingdom of the gray elves. Stranded in Luntharda with his partner Lieutenant Jace Rordin, Jaevid must finally confront the demons of his own past as he uncovers the truth about a war that began before he was ever born. Armed with a new appreciation for destiny, and flanked by his trusted friends, Jaevid moves to make the final strike against an enemy that has been hiding in plain sight for far too long. 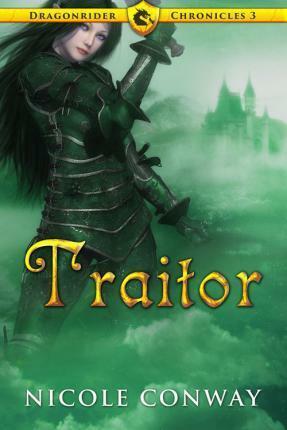 One kingdom's traitor will become the world's last hope. Nicole Conway is a former freelance graphic artist for promotional companies and is now a full-time writer. She enjoys hiking, camping, shopping, cooking, and spending time with her family and friends. She is the author of Avian and Fledgling. She lives in Valdosta, Georgia.